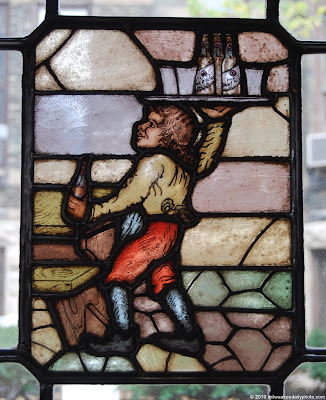 This stained glass panel is part of the collection over at Best Place. 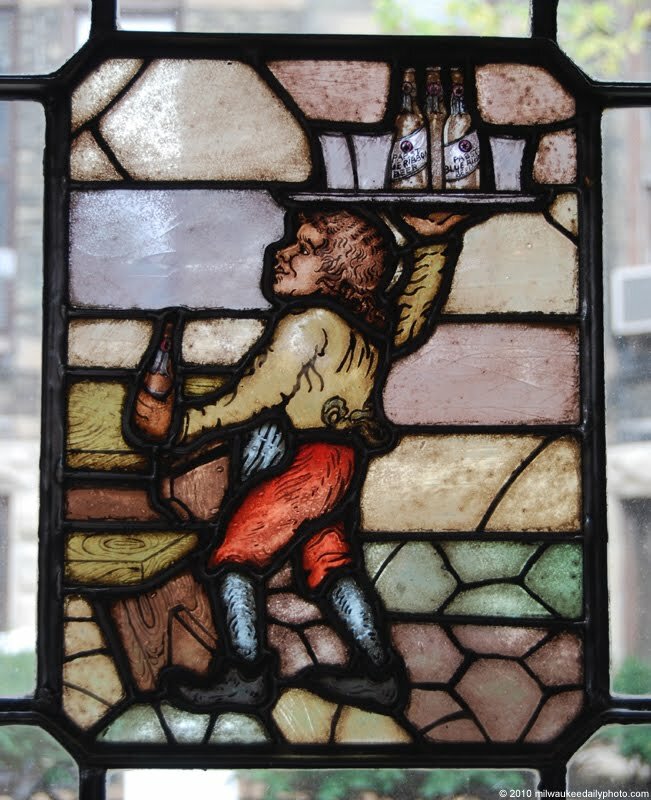 A barkeep carries a tray of Pabst Blue Ribbon beer. The detail in the paint is really great, given that it's been there for generations.